Happy Monday, loves! How was your weekend? I had a weekend of thrift store & Ikea adventures as well as brunch with a friend. I thought I'd kick off the week with a hair tutorial. Enjoy! 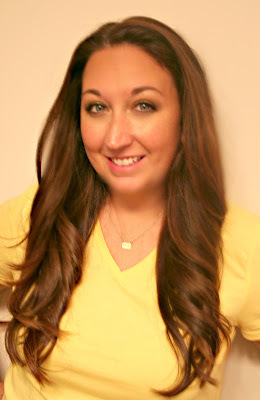 Today I'm sharing how to get The Bachelorette's Emily Maynard's hair. This hairstyle is a great way to get volume and loose waves. I'm using velcro rollers today for two reasons: to mix it up (most of my tutorials involve strictly a curling wand or iron) and because Emily is a big fan of velcro rollers. You can totally use hot rollers if you don't have velcro rollers. While my layers are cut different from Emily's, the curls are the same! Jumbo velcro rollers & clips--if your hair is shorter than mine, use large. The amount of rollers needed depends on the amount of hair. I usually need around 7. I use duck bill clips. Curling iron--This will be used to heat the hair. 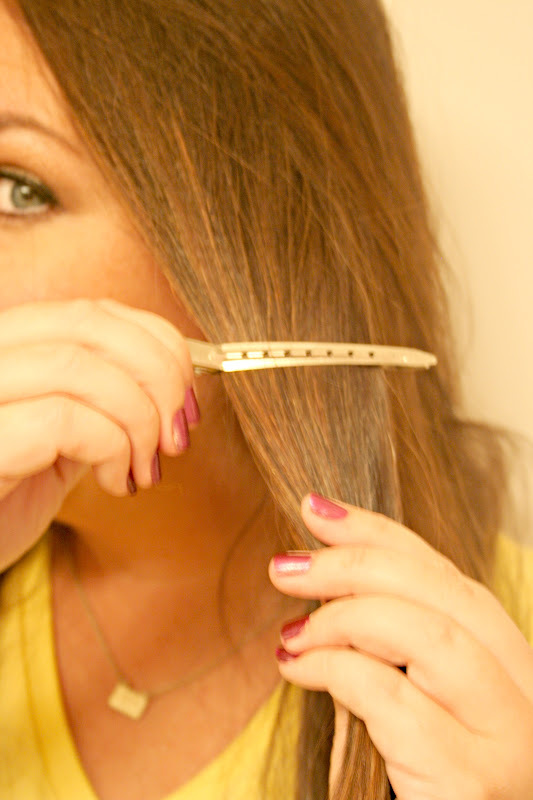 It makes the process faster instead of starting with wet hair, using a hair dryer, etc. I used a 1in 1/2 iron but the size of the barrel isn't important. A flat iron can be used if needed. Other: heat protectant & hair brush--for obvious reasons; hairspray (I don't use hairspray but most of us do); and a smoothing product. Brush hair, apply heat protectant, and turn on curling iron. You're going to divide your hair into 3 sections: the middle, starting at forehead going down the back of the head; and the sides. I like to separate the side sections with clips. 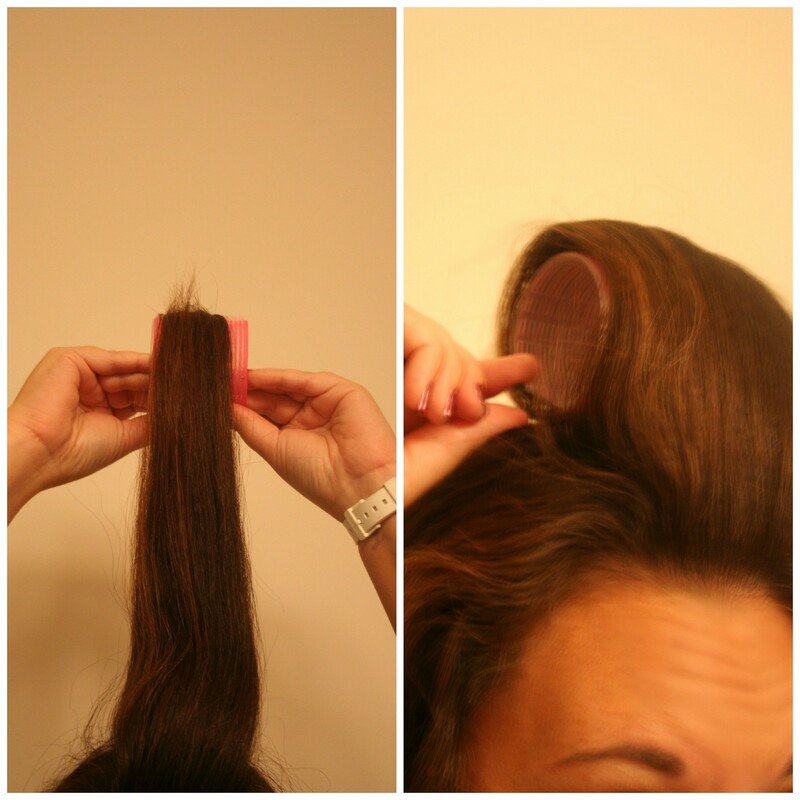 Starting at the top of the middle section, take a section of hair wide enough to wrap around the roller. 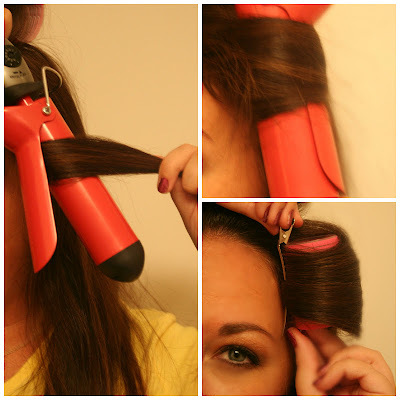 Brush the section and use the curling iron to heat it. If you're hair is hard to curl, or just to insure the curl, go ahead and wrap the iron around the hair, starting at the end and rolling toward the roots. Hold for 5 seconds. Open the clamp to remove hair from the iron and then reroll hair onto the velcro roller. Secure with clip. Continue to do the same for the remaining hair in the middle section. This usually takes me about 3 rollers. Next, take a side section and pull about a inch section. Instead of curling & rolling horizontally, curl & roll vertically away from the face. Allow hair to completely cool--this usually takes around 5 minutes, if that. If you're really pressed on time, use the cool-shot button on your hair dryer to cool your hair down. I got this for $5.99 (reg $18) at TJ Maxx. So good! Carefully remove rollers and style with fingers. Make sure the curls framing the face are away from the face. Spray with hairspray if desired! I used a color-protecting glaze to smooth hair. 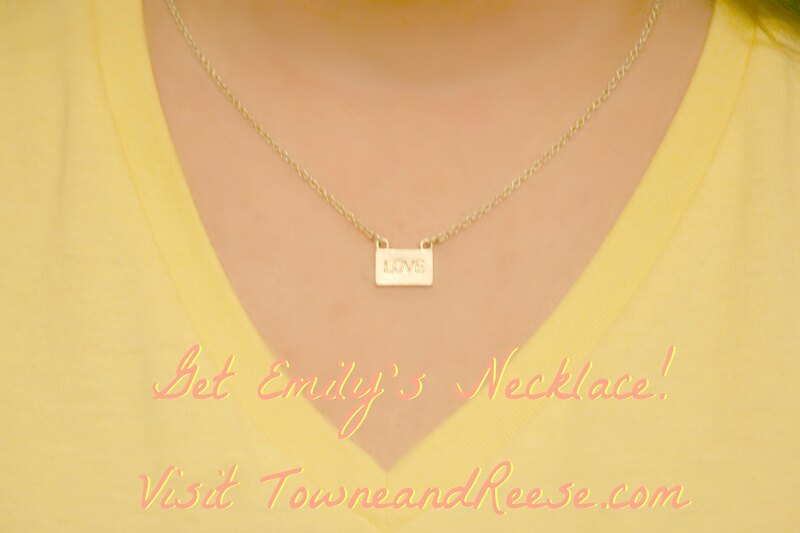 The Finley necklace I'm wearing is just like the one Emily wore in The Bachelorette (episode 1)! Isn't it super cute and dainty? It was given to me from Towne & Reese! You can get your own, or any of their beautiful pieces, by clicking here. Go now! And ElleSees readers get a 10% discount now until August 14th with the code ELLE10. Check out more velcro tutorials from me here and here. Your posts make me miss my long hair! Gorgeous! SO cute! I love love love it! I purchased some velcro rollers a while back, and they pulled my hair so much. Is there a trick to this? Awesome tutorial. 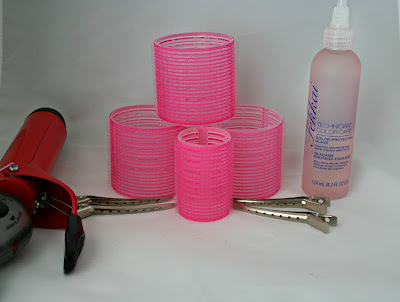 I've never used velcro rollers but this looks like something that I could totally do! it didn't work for me, perhaps I should start with the heat set. Love the romantic look of loose waves, you've recreate the hairstyle so prettily! Great tutorial and your hair looks great! 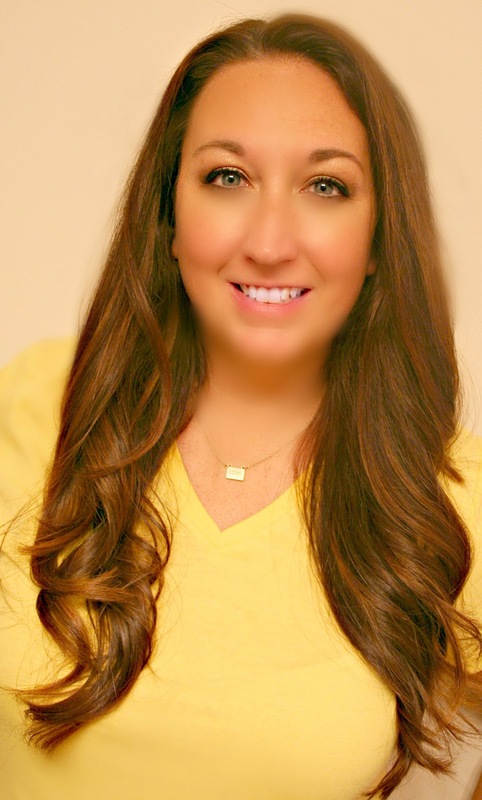 I've switched blog sites and hope you can stop by when you get a chance! Pretty necklace! I have used velcro rollers, but because my hair is so fine, I have found that hot rollers work better. Your hair turned out great! Your hair looks great and I love that necklace! I really want to try this look now - I have been trying for awhile to figure out how I can get a loose curl like this! So pretty! I love those curls. I wished I was close tnough to Ikea to have a weekend adventure there. haha! My closest one is in Denver which is still 6 hours away so it has to be a planned event. definitely see the inspiration! well done! You look great and I WANT that necklace! Your hair looks so pretty!! I suddenly have the urge to grow mine out again! your hair looks good. i really like loose, casual curls. nice. As i am growing out my hair more, I will be using the curling iron more too. So pretty! Thanks for the tutorial, I'm always trying to get curls like that! You are so cute! Your hair looks fabulous! I love the hair and you look great in yellow! !